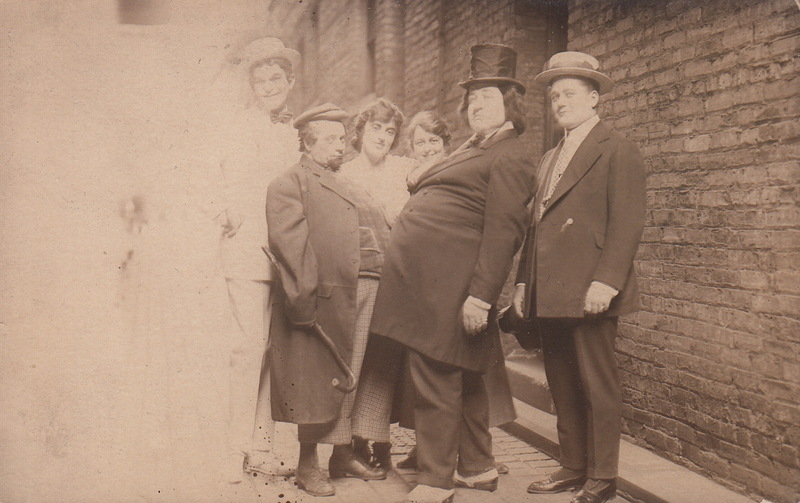 A portly pair of buffoons battle bellies in Chicago at the stage door, circa 1900. Play unknown. Yiddish theater?